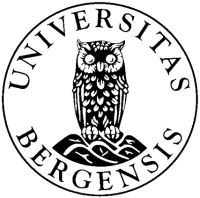 The Mohn Medical Imaging and Visualization Centre (MMIV) has been established in collaboration between the University of Bergen and the Haukeland University Hospital through financial support from the Bergen Research Foundation (BFS) to promote cross-disciplinary research activities related to state-of-the-art imaging equipment such as preclinical and clinical high field MRI, CT and hybrid PET/CT/MR. The aim of the Centre is to research new methods in quantitative imaging and interactive visualization to predict changes in health and disease across spatial and temporal scales. This encompassed research in tissue feature detection, feature extraction and feature prediction. With emphasis on the natural sciences, the long-term goal of the Centre is to achieve excellence in the interplay between imaging (physics, chemistry, radiography, radiology), visualization (computer science and mathematics) and in vivo clinical and research applications (including applications in basic research and preclinical validation).